Every client offers a different opportunity. Some encourage big, creative, courageous ideas while for others measurable, effective work is the priority. And every now and then we come across a brand that gets us going because of its mission. We have one of those now and I want to yell from the rooftops about it because I am such a fan. San Diego-based Feetz is looking to change the way you buy shoes. Forever. Tucked in a small warehouse in Mira Mesa are one hundred 3-D printers, humming away as they print a shoe for someone who might be down the block or on the other side of the country. The shoe will be a custom fit, at a reasonable price. More likely than not, the most comfortable pair of shoes that person will ever wear. When Feetz founder Lucy Beard talks about her vision it goes well beyond providing custom shoes to the public. She wants to revolutionize the shoe industry. You see, in addition to creating a desirable product, Beard wants to change the dirty, wasteful process that most shoes require. Feetz shoes use zero water in manufacturing. The shoes are made with recyclable material, so when you’re done with your shoe, send it back and the plastic will be recycled for another pair of shoes. Oh, and the entire shoe is made in America. Pretty nifty for a tiny company in San Diego. 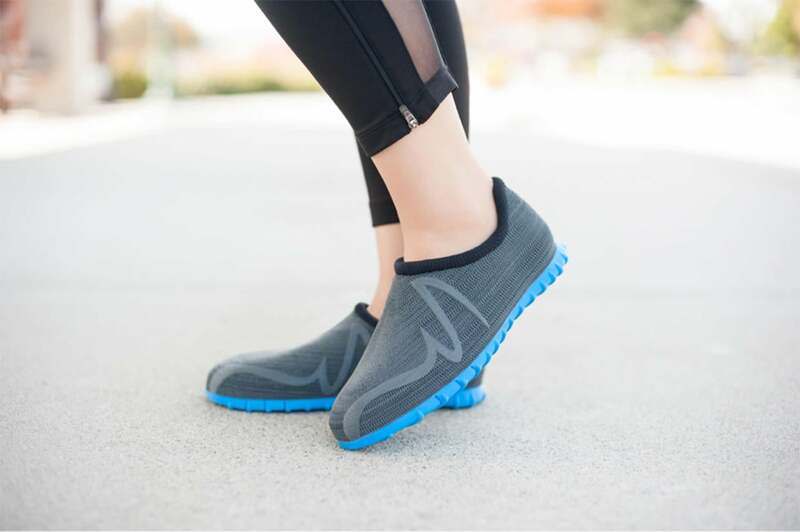 The folks at Feetz know that technology can be a game changer in almost any industry, and for the shoe business combining customization with zero waste is just that. As a B Corp, we celebrate working with companies conscious about their impact on resources that address the lifecycle of their product and create high-paying jobs. Feetz checks every box and we are excited about helping them grow and change the shoe industry as we know it. You can follow along at https://twitter.com/FeetzShoes.